Your new customer has purchased. Now what? You want to make sure you wow them in the delivery of the product they purchased, but you also want to continue building a long-term relationship with them. The key to doing this effectively is to offer follow-up customer service. Through follow-up customer service you continue offering valuable content, keeping lines of communication open, communicating your appreciation to the customer, and offering more of your products and services. A great deal of time, work and effort goes into effective customer follow-up, and this is where automation can help. 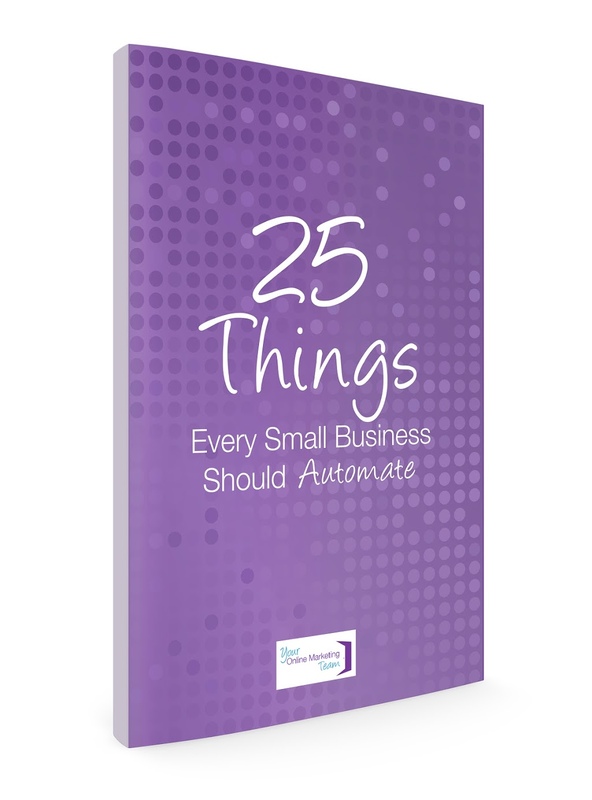 Automation takes over routine tasks and does them for you so that you can focus on more important things — those things that you absolutely must do personally. Probably the most important part of your follow-up is the “thank you” message. This is a quick and simple note letting the customer know that you appreciate their service. This message lets them know how they can access the product they purchased if it’s an online product or when they can expect it in the mail. Keep in mind that they can buy from anybody else at any time. This email lets them know that you know that, and you appreciate that they’ve chosen you. If you use Infusionsoft you can connect it to a service like Send Out Cards to automatically send thank you gifts to your customers — an extra bonus they weren’t expecting!! When your customer buys from you, you have a great opportunity to build a relationship with them through your follow-up care. A great way to do this is through an email course. This is a series of emails that teaches your customer how to do something. Identify some problem they face and help them solve it. Each email is an individual lesson. This can be done through an autoresponder email marketing software program. I prefer Infusionsoft, but other options include Aweber, Mailchimp, and many others. Another great automated follow-up option is the customer loyalty program. This is a program that offers incentives for customers to buy more from you. After so many purchases, the customer gets a reward of some kind. Entire customer loyalty programs can be automated through services and software programs. Again, Infusionsoft is a great option to use to create your customer loyalty program. An important part of customer follow-up is getting the customer’s feedback. As part of your automated follow-up care, you can send the customer a survey or form asking them for their opinions. This has two purposes. First, it lets the customer know that you’re concerned about them and listening. Second, it gets you valuable insights into how your customer feels. Automation is extremely useful for customer follow-up, but there are times when it’s inappropriate. When people need to speak to another human being on the other end, automation makes them feel like they’re dealing with a faceless corporation that doesn’t care about them. When a customer needs to reach you for any reason, you should be available to them. Provide them with plenty of ways to reach you easily and take care of their problems, questions or issues as soon as possible. Use automation where it’s appropriate, but make sure there’s a real human when your customer needs one. What other things have you automated in your customer follow up?